On Sep 3rd, 2010, CSI entered into an agreement with eWIT, a society that stands for empowering women in IT and is registered under Tamil Nadu Societies Registration Act with its registered office at Chennai. It is the intention of CSI to facilitate learning and career enhancement for students, faculty and IT professionals while eWIT specifically focuses on women working in IT, thereby increasing the share and sustainability of women in IT/ITES industry. The overall objective of promoting IT as a profession is accomplished by both parties pursuing their mutual objective. Collaborative working between the two parties augurs well for the target community and this MoU aims at such synergization. The MOU provides for exchange and sharing of information & publications, mutual invitation and participation in each other’s events, joint organization of events and collaborative development of Research & Education activities. 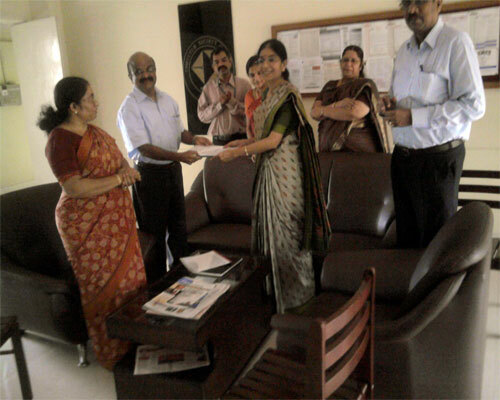 The agreement was signed by Wg Cdr M Murugesan, Direcor-Education, CSI on behalf of president, CSI and by Ms Vijayalakshmi Rao, president eWIT. Mr S Ramanthan, RVP-Region VII and Dr T V Gopal, Division chair – Div II (software) were present on the occasion along with other eWIT office bearers.